It’s time for another 20TweetTales, where I tell a short, flash story over a thread of 20 tweets. 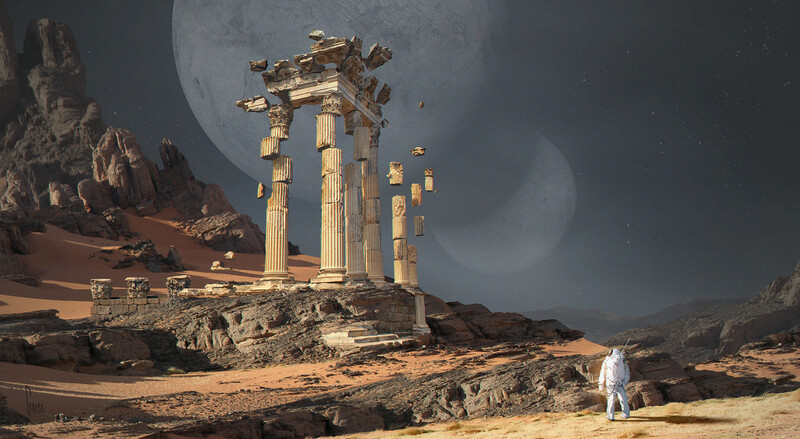 This week’s science fiction piece was inspired by Flora Silve’s Astro Ruins. With it’s out-of-place Greek architecture, Flora’s art is reminiscent of The Twilight Zone, or maybe an episode of Star Trek.